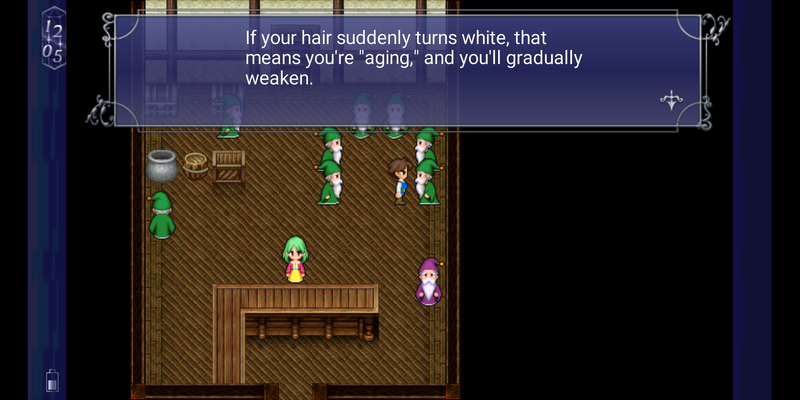 I am more than willing to tolerate the silly awkward remastered Android graphics just to have Final Fantasy V on my phone always. I love everything about Castlevania II. I prefer Sierra On-line style kill you at every chance, random puzzles, adventure game design over LucasArts. Final Fantasy:MQ is my favorite FF. Even the dam level in TMNT is redeemable and being able to do it without taking hits and with time to spare is Dark Souls level mastery feelings. I don't think DraculaX is a bad game. let me be the 4th to say that Skyward Sword is my favorite modern zelda. I finished it, which is more than i can say for BotW, TP, and WW. Back on NES, as a kid I dedicated much time completing all 40 levels of Battleship. My heart grows large with all the Friday the 13th love. My college roommate and I still religiously try to beat it on every relevant Friday, lest Jason kill everyone. You can cheese your way to a torch pretty quickly, which makes things way easier, but I still manage to screw up the third day 9 times out of 10. He’s just impossible to dodge if you have even a tiny bit of lag. Janky old NES games like that or The Adventures of Dino Riki, Hydlide, and Deadly Towers are always fascinating to me and I love picking them up from time to time. For SNES: Brain Lord and Lagoon got a lot of rentals out of me back in the day. Can’t think of much starting with the playstation. My free time to income ratio took a swerve at that point so I tended to start moving on to whatever was new and shiny if something was questionable. For SNES: Brain Lord and Lagoon got a lot of rentals out of me back in the day. Same. I'm sure I'd find 'em hard to go back to now, but I still have fond memories of renting random SNES RPGs. I thought Mass Effect: Andromeda was the best game in the series. It's kind of a janky mess but it's got the best combat and the freedom to mix and match abilities was really enjoyable. Also exploring the world on a vehicle was actually fun this time around. I'll third this. I still have fond memories of Lagoon, even if I never got far in it. Those random SNES RPG rentals helped me discover Final Fantasy 2 (U.S.) and Ys 3: Wanderers from Ys, so I'd say those rentals were a net good. Xenogears' story and dialogue is a mess but it does ask some interesting ethical questions and the game has atmosphere for days. You and me both. Everyone I met who played it loved it, so I wonder if the negative critical reception preceded it a bit? The core gameplay mechanics of Metroid: Other M were actually pretty solid, and I’m kind of sad we will probably never see them reiterated upon in a sequel with better level design and writing. In this house we stan Chrono Cross. Squaresoft's experimental period pre-millenium was amazing, and more companies should follow their lead. 7th Saga has one of the best combat systems in a 16 bit RPG. SaGa Frontier is a classic and great but Bushido Blade is the best game Square put on the PS1 that isn't Vagrant Story. Metroid Fusion is a pretty good game for what is it, which isn't Super Metriod Again. More Metroid games should try and not be Super Metriod Again, and the biggest stumbles it makes is where it leans in that direction (too many reused powerups, mostly). My favorite video game, some days! How I found Parish’s writing and eventually wound up on this forum. Square put a lot of excellent stuff on PS1, now that I consider it. Aside from FF games, Brave Fencer Musashi, Threads of Fate, Legend of Mana, Chrono Cross, Xenogears, Einhander, Bushido Blade games, Parasite Eve, Vagrant Story. I think the general consensus 20 years later has landed on Chrono Cross's biggest sin is in being a sequel to Chrono Trigger. I miss the days when Square would release stuff unexpected from an RPG-focused company, like a shooter and cinematic brawler and three distinctly different flavors of 3D fighting game. And these were original properties too, not just Dragon Quest license bolted onto Minecraft* or Dragon Ball Z fights with Final Fantasy stars. * Dragon Quest Builders is still very good and you should play it if you haven't. I am still holding out hope that there will be a mobile remaster that spawns a rerelease of the game on modern consoles. Chrono Cross is a great RPG with wonderful aesthetics that was saddled with the misfortune of trying to live up to Chrono Trigger's legacy, being a direct sequel to it. Don't fret about it if you dislike it as a sequel, just tell yourself there's another alternate reality where Crono and friends are all okay, 'cuz Chrono Cross is all about alternate realities. Sure would take another game like CC over the "Like Chrono Trigger but..." games we've received in recent years. I still feel it did a tropical setting way better than Final Fantasy X, and that game had the advantage of more powerful hardware. Chrono Cross will always be Final Fantasy 8.5. to me. Last edited by MetManMas; 01-15-2019 at 05:14 PM. One of the joys of playing strategy RPGs is learning to strategize in wild and new battle systems. That's why Rondo Of Swords made me so happy - it didn't feel like anything that came before. It was like playing Fire Emblem for the first time! For Castlevania, I love Vampire Killer, Simon's Quest, Haunted Castle, The Adventure, the N64 duology, Harmony of Dissonance and the PS2 games. For Akitoshi Kawazu, I adore nearly everything he's had a major creative role in. For Square's PS1 games, I very much like the relatively contested late-era sequels to canonized classics like Chrono Trigger, Parasite Eve and the Mana series--probably more so than their predecessors. If something like Cross strikes one as being sufficiently reappraised and comfortably popular, part of my particular angle on it is that its nature as a sequel to Trigger is among its greatest strengths. I have faith I would be into expansive series like Kingdom Hearts and Xenogears/Saga if I got around to playing them. Dragon Quest II might be my favourite in the series, in its original form. Persona, the first one, is my favourite Persona by a pretty large margin. I'm in the process of (re)discovering and marinating in Suikoden as a whole, and I have a lot of love for the more divisive games like III and IV. Dissidia Final Fantasy NT is one of my favourite fighting games. People regularly elevate Square's eclectic PS1 offerings, but I think many of their PS2 action games like The Bouncer, Dawn of Mana, Dirge of Cerberus and Musashi: Samurai Legend are also interesting and compelling. The Legend of Legacy is a masterpiece. I guess R-Type Final can be framed as "unpopular", relatively. I've written about why I like it before. Put me down as another person loving the heck out of Dragon Age II. Is Neo Contra unpopular? Probably my favourite of the series. Metroid II: Return of Samus is my favourite Metroid. Yoshi's Story is a very good Yoshi. Hybrid Heaven! Where are the other wrestle RPGs? Lots of woman-led Famicom games--Layla, The Wing of Madoola, The Quest of Ki--are rad as hell. Evil Zone is an amazing fighting game, along with some other PS1 ne'er-do-wells like Kensei: Sacred Fist and Zero Divide. I love trashy PS1 action games--Nightmare Creatures, Deathtrap Dungeon, Shadow Man, Spawn: The Eternal... always environmentally engaging and beautiful. You forgot Akuji the Heartless! Oh man this is a good post. Rondo also does some extra-ordinary storytelling within the gameplay. Really unique stuff. Oh, yeah! That's another good one when taken on its own terms and not Super Metroid Before. Home Alone on the NES was the first survival horror. It's super tense, you can't really defend yourself beyond dropping traps and hiding, and you have to last 20 real-time minutes. I wants it back in my life. California Games and the other Epyx Games may be obtuse at first to sort out, but I love them. Shame Winter Games got the worst treatment in its NES port; California is fine. Body Harvest is a flawed early open-world action title from DMA Design, and it went through development hell on the way to its final form. But the game's better than GTA3 and you can see a lot of influence lurking within. I actively hate most Kawazu games (to the point where even though I know it's dumb, I get annoyed when people post about how good they are) but I love Saga Frontier 2 and Crystal Bearers. Gonna throw my hat in for Dissidia Final Fantasy NT, too. I wouldn't call it a favorite, and you have to work for it a bit, but it's a lot of fun! Bartz and Y'shtola for life. Here's a blanket statement just to cover every Kawazu game I've ever played. It will also cover every Kawazu game I haven't played, as I play them. For also, FF2 is covered by the above statement at least, but it bears repeating: Final Fantasy 2 and Final Fantasy 3 are good games that are fun. All the Final Fantasies are, but these two seem to get the most hate. Resident Evil 5 is a brilliant evolution of Resident Evil 4's mechanics, if you set its problematic elements aside. And Resident Evil 6 is a brilliant evolution of Resident Evil 5's mechanics! I like Star Tropics 2 just as much as I like Star Tropic 1. For Square's PS1 games, I very much like the relatively contested late-era sequels to canonized classics like Chrono Trigger, Parasite Eve and the Mana series--probably more so than their predecessors. I'm not ashamed to admit that Legend of Mana is my favorite Seiken Densetsu game. Part of me still really wants Square Enix to commission VanillaWare to remake the game with that beautiful hi-def 2D they do, but honestly I would be fine with just having the original game playable on modern platforms at all. It's got wonderful aesthetics and a colorful cast and it's a joy to experience. Can't say I ever had as much love for Square's PS2 output as I did its PSone, but I've always wanted to check out Dawn and the Musashi sequel. And The Bouncer was definitely the cinematic brawler I was referring to; I know it was a flop but I still think it deserves better than to be left behind with the PS2 generation. The world seems to have forgotten about it but Fez is still a masterpiece. Chrono Cross has really interesting game design and I'd rather see a sequel following in its example than Chrono Trigger's. The Assassin's Creed games would be unbearably tedious without the modern day framing story, which is actually pretty good in part because it's so ridiculous.